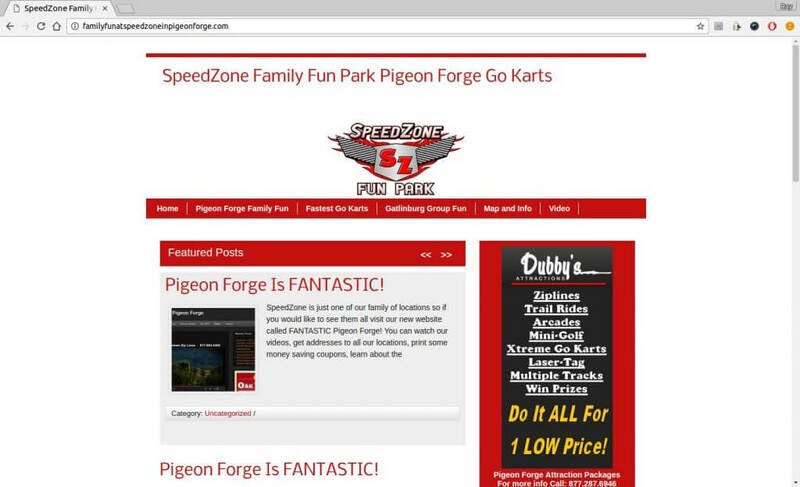 Pigeon Forge Attractions: Speedzone Fun Park - Bear Camp Cabin Rentals. This area has grown into a mega-fun zone and one thing is for sure; family fun in Pigeon Forge is easy to find! If you’re driving in from Gatlinburg, keep your eyes open for Speedzone on the right side of the Parkway. This wonderland of go cart racing is a great way for any family or group to start their day. Boasting two of the best twister tracks anywhere, this is a thrill ride you are in control of! All 4 of their racetracks were custom built to offer challenging corners and curves that will put your go cart racing skills to the ultimate test!